Can Career Testing Help You? "I took a career test in high school, but I didn't get anything out of it." "The test told me I should be a farmer, but I like working indoors!" "I've got a whole file full of career tests I've taken on the Internet and I still don't know what I want to do! These are the type of responses we sometimes hear when we talk with people about the value of career testing. As career counselors, we have worked with many people who have taken career tests in the past and are still confused about which career direction to pursue. Their experiences-and perhaps your own experience, as well-raise this question: Can career testing really be helpful when you want to find work that fits your God-given design? The answer is "Yes," but only if you know the truth about career tests. We know from first-hand experience with thousands of career changers and job seekers that career tests can be very helpful-if you can sort fiction from fact. MYTH #1: A career test will tell you which job is best for you. Fact: No career test can tell you the one specific job you should do. When you consider that you are unique and complex, as well as that there are thousands of possible work options, you can see that it would be an impossible task for one test to assess all of the relevant factors. Fact: Good career tests are very useful, however, in helping you identify which types of career options potentially fit your design. Career testing is not an end in itself; rather, it provides guidance in pinpointing career fields and jobs you should look into further (including ones you may previously have never considered). Your career test results can also be helpful in deciding which career will be the best choice for you by providing objective data you can use to compare options. MYTH #2: All career tests are equally helpful. 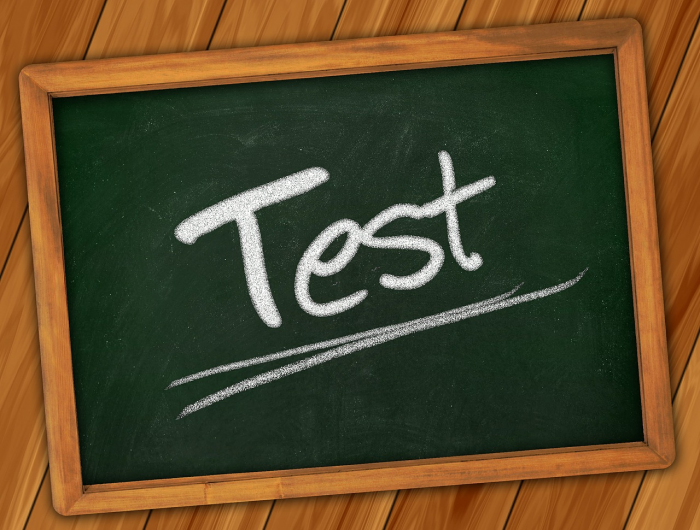 Fact: There are many career tests, but they differ widely in accuracy and usefulness. How helpful a career inventory will be depends on its construction and research base, which affect its validity and reliability. Self-assessments (such as free career tests available on the Internet) are available to anyone, are simple and do not require interpretation by a trained counselor. The more sophisticated (and helpful) professional standardized career tests, however, can only be purchased and used by qualified counselors and trainers. The reason for this is that the depth of information in these types of assessments requires explanation and interpretation for you to benefit fully. Professional career tests on interests, personality type, etc. will provide the most accurate results, and help you effectively connect your results with relevant career fields. Fact: The value of a professional career test depends greatly on the skill of the counselor who interprets it for you. The test itself will have little value for you unless you understand what the test reveals, believe it is accurate, and know how to use the information you have gained. Over the years, we have had countless clients tell us, "I already took that test, and the counselor told me I should be a ___________." We can't know, of course, if the counselor literally told them that the career test pointed to just one career choice or if the person misunderstood what the counselor said. Unfornately, there are some well-intentioned but insufficiently trained people in schools and other settings who are unknowingly misinterpreting, misusing and misleading people when providing testing results. To get the most from professional career testing, make sure you have someone who is experienced and well-trained helping you understand and then utilize your results. MYTH #3: One good career test is sufficient for determining a career direction. To find a career you love, you need to have a thorough understanding of the key aspects of your design. When we work with clients, we utilize a composite of assessments comprised of both professional standardized career tests and self-assessments we have developed. Our goal is first to help our clients gain a detailed, in-depth understanding of their most-enjoyed skills and motivated abilities, interests, personality type, preferred roles, spiritual gifts, ideal working environment, etc. Then, they record and organize their testing results from a variety of assessments into their Life Calling Map, which enables them to see the dominant themes in their design, and to use the information effectively to identify careers of interest. The deeper your understanding of the complexity of your God-given design, the easier it will be for you to find the type of work God has created you to do. If you want to find work that fits or need to identify a new career direction, career testing can help you expedite the process, eliminate career mistakes and instill confidence about pursuing your chosen direction. If you are interested in talking with us about how professional career testing could help you, we invite you to schedule a free consultation session. You are God's handiwork, created for a specific purpose. Career testing can help you find your calling!